Seair mixed up my flight sked. But didn't let that stop my Camiguin trip. 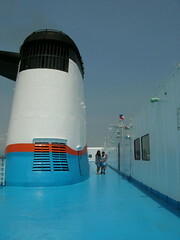 Boarded the Superferry 5 to Cagayan de Oro and it was a pleasant trip, something I should've done a long time ago. Welcome aboard.